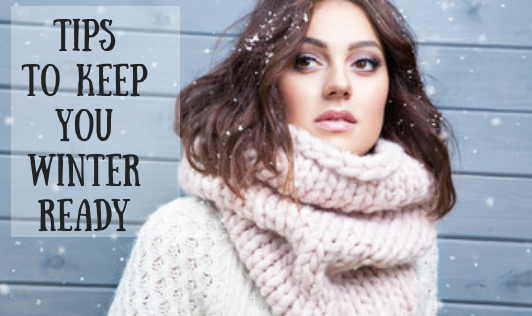 As the winter months set in, the weather turns colder, windier and drier, your skin will need some extra help and protection from the environment. • Taking a hot shower daily is important for the hygiene of your skin. Jojoba oil or sweet almond bath is very relaxing. You don't have to keep these for holidays. Nourish your skin by adding a few drops of these oils to your everyday bath. It will do wonders for your skin. • Avoid harsh (typically colored, fragrant or antibacterial) soaps and stick with mild non-drying soaps. • Apply your moisturizing cream immediately after bathing and toweling dry. This will seal in the moisture. Use moisturizing creams and ointments that are more appropriate for the body than the face. • Your day cream, choose one that provides protection. Good Moisturizers should form a protective barrier against the environment and its elements. Select preparations which are creamier and water-in-oil emulsions. • Drink lots of water to prevent dehydration. Try drinking a glass of hot water with lemon. This means that your body will be able to clean the blood faster to get rid of toxins responsible for bad skin. • Don't forget your sun protection! The sun doesn't go away just because it's cloudy! • Lips become easily chapped during winter. It is a very common and noticeable winter problem. Soften them up and pamper them throughout the winter season. Use a lip balm to keep the lips moisturized and prevents them from drying out. Use lip balm that contains vitamin E for good elasticity. • Don't ever leave the house with wet hair. This will cause damage to your scalp and hair can actually break off, so it may be better to shower in the evening. Since hair can get dry and damaged just like our skin, protect it by conditioning more in the winter. • Keep your fingernails moist and prevent them from turning brittle. Applying a nail hardener will help to protect and toughen them up. Such simple habits help to prevent from winter itch and make you feel younger as you grow.